. 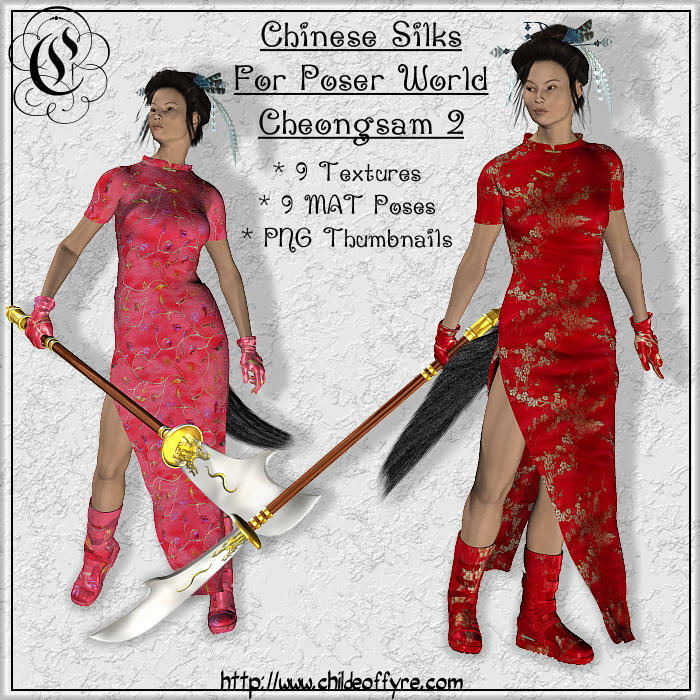 :: Chinese Silks for Poser World's Cheongsam-2 ::. This is just a small texture package for Poser World's Cheongsam-2 dress. There are 9 textures with associated MAT Pose files included in this package.